“I’m so sorry for the family here and I know this is hard…but one of the things we have to remember is we need an immigration system that is effective that focuses on where real problems are,” Elizabeth Warren said. 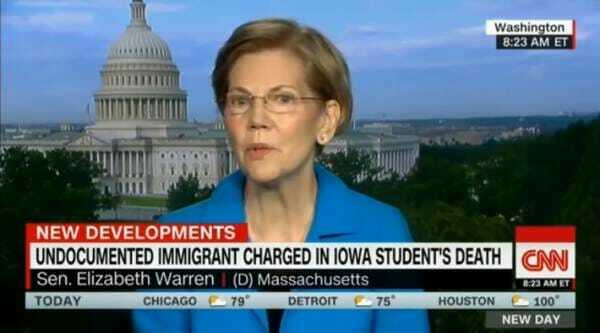 “Last month I went down to the border and I saw where children had been taken away from their mothers and I met with those mothers who had been lied to, who didn’t know where their children were…and there was no plan for how they would be reunified with their children,” Warren continued. What about Mollie Tibbetts’ mother who was permanently separated from her daughter thanks to dangerous Democrat immigration policies that allowed illegal aliens to run wild in the streets? Democrats hate Americans; they are the enemy of the American people.